Hey everyone! Roree here and it is Day 15 of National Stamp & Scrapbook Month. 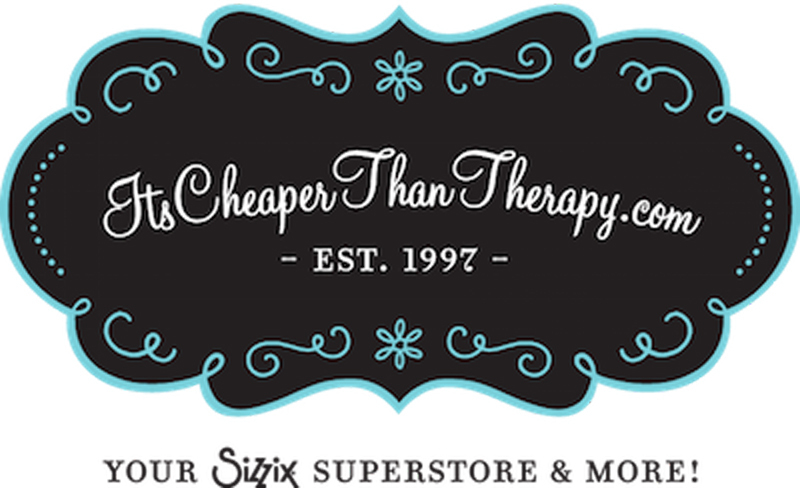 “ItsCheaperThanTherapy.com was established in 1997 as a Scrapbook/Stamping store in Colorado. My kids Danielle & Dillon have been involved since they were little tikes, and our shop was also next door to my dad’s business. (Definitely love the family vibe!) They have grown to love the business and crafting as much as I do. I am sure you may have seen them at a show near you in our booth having a great time. 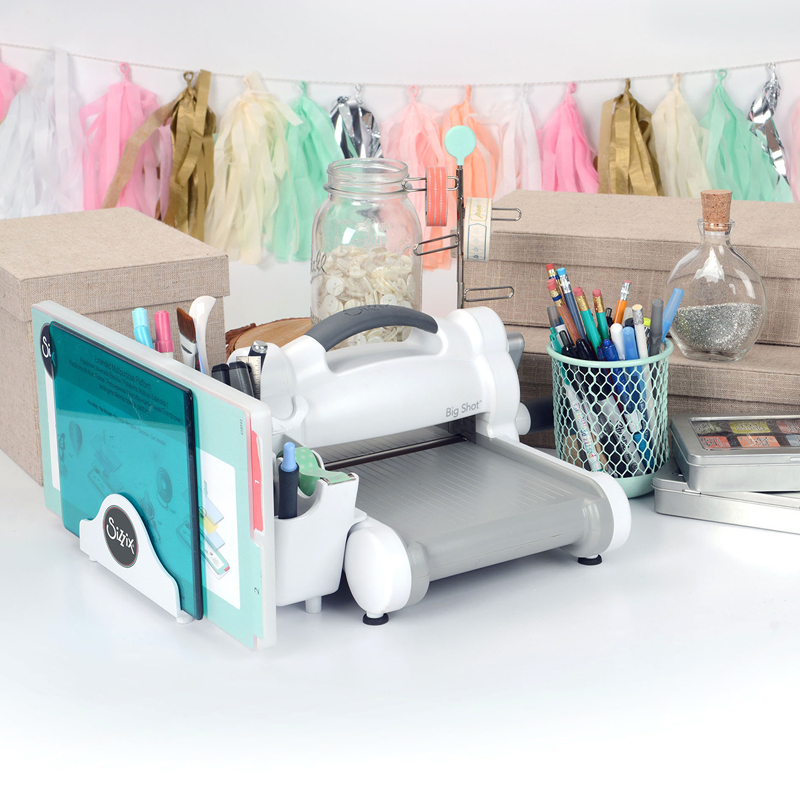 In 2001 we were the very first store in the entire world to carry Sizzix, the first very brand to come out with a consumer die-cutting machine and consumer dies. We were hooked for sure and continue to proudly work with this wonderful die-cutting company! 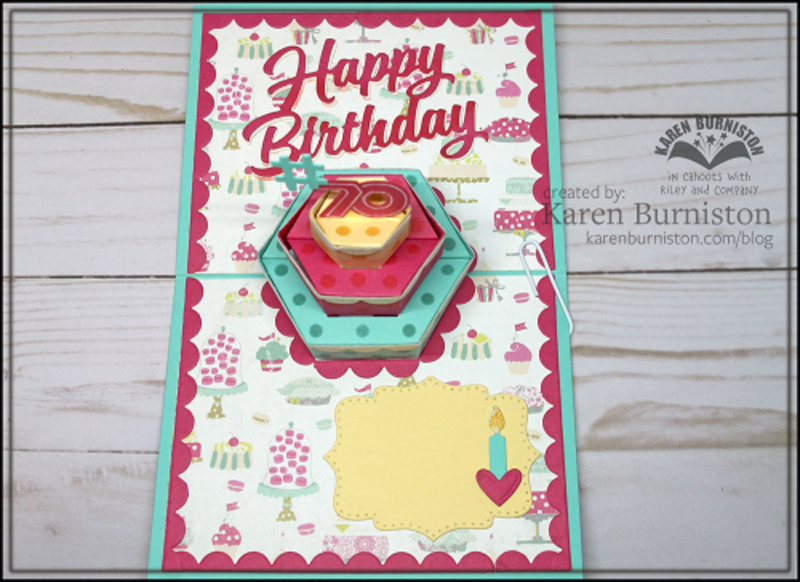 This interactive birthday card was created using the Cake Pop-up Die Set, Cake Trims Die Set, Happy Birthday Die, and the Numbers Die Set and designed by Karen Burniston. The new Cake Pop-up die sports a classy hexagon shape that folds flat at the sides to become part of the design. It also includes scalloped trim pieces and mirror-image candles. 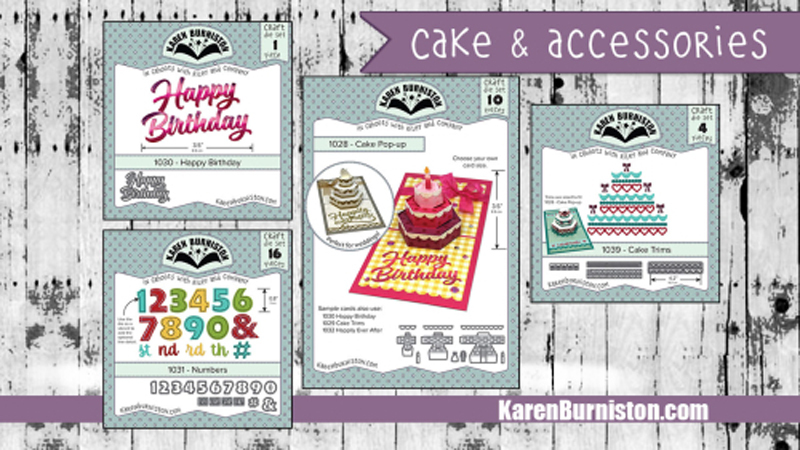 Add the awesome sentiment and number accessory die cuts and WOW! It’s a card that anyone would love! Wouldn’t you love to receive a card like that? How about create one of your own? 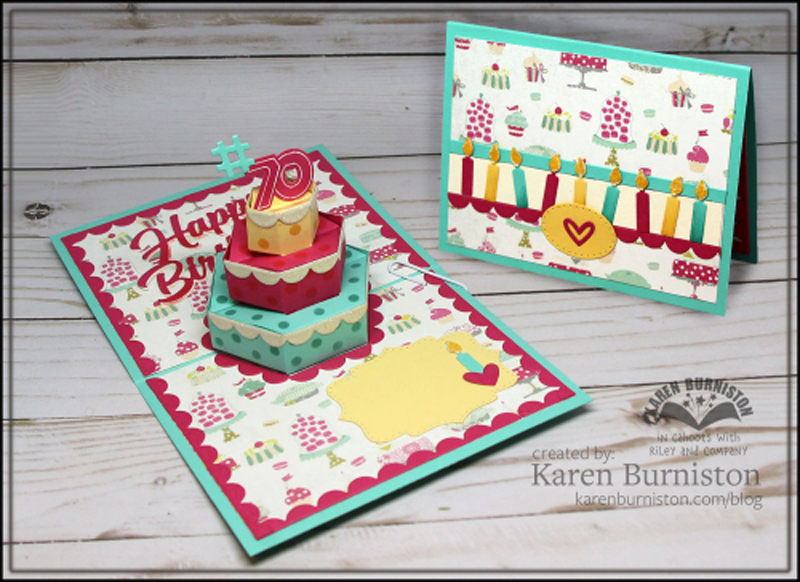 Well, one lucky commenter will be receiving this wonderful set of Karen Burniston dies so you can create your own amazing birthday card and more! What if you didn’t have a machine to use with all of those great dies? Well, Maria thought about that and has decided to give the lucky commenter a Big Shot Machine Starter Kit too!!!! 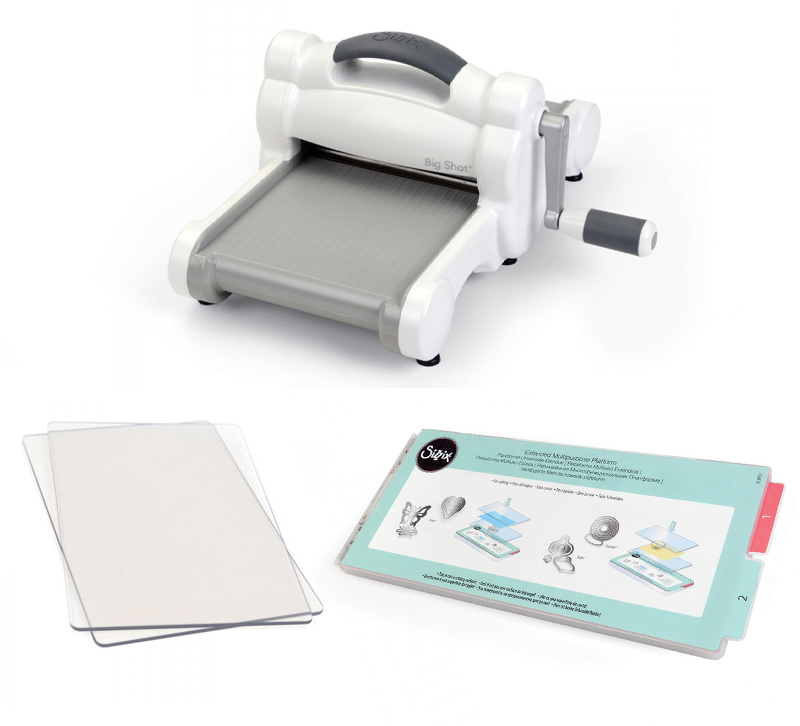 The kit includes a Big Shot Machine, a set of Clear Standard Cutting Pads, and an Extended Multi-Purpose Platform! This amazing prize has a retail value over $170. Holy WOW!!!!!!! For a chance to win this amazing prize, leave a comment in this post before February 21, 2018 at 11:59 EST. The winner will be announced on February 22nd. Thanks so much for stopping by for Day 15 of National Stamp & Scrapbook Expo month with ItsCheaperThanTherapy.com. Make sure to check back every day in the month of February for a chance to win! Before I go, let me announce the winner of the Tim Holtz Vagabond 2 Die-Cutting Machine from the Funkie Junkie Boutique Giveaway! Belinda, please email diana@scrapbookexpo.com with your mailing address to receive your prize! This entry was posted in Blog, Giveaways, Manufacturers, National Stamp & Scrapbook Expo Month and tagged Big Shot Machine, Dies, Giveaway, itscheaperthantherapy.com, Karen Burniston, National Stamp & Scrapbook Month, Sizzix. The card is awesome and the giveaway is awesome too!! Love the cake birthday card. What fun. Wow! Wow! Wow! What an ABSOLUTELY fabulous give-a-way by an outstanding store and an Expo FAV! oh, my, what a great prize! I was reading the post, thinking how much i would love the pop-up cake but I don’t have a Big Shot….. thanks for the chance to win! Have bought there products many times ..love them! Would love to win this!! OMG! What an amazing prize! Love the Karen Burniston collection. Great prize, and my birthday just passed! What an amazing prize package! Always love your stuff at the Expo. OMG – what an awesome prize! Their booth is always a must-stop for me at the Expo. Love It’s Cheaper Than Therapy!! awesome prize!! Thank you ItsCheaperThanTherapy. cant wait to stop by your booth this year. Great giveaway items. Would love love to win. Always love stopping at your booth. Thx for the chance at this awesome prize. What a super give away! I love making birthday cards and these dies are great! Then adding the cutting machine too is awesome! Thanks for the opportunity to win! This is a great giveaway! Anyone would be excited to get this!!! Love your booth at EXPO. Crafting is my therapy. Love you stuff! Hope I win, can use all of it! I would absolutely love to win. i love the cards!! Pop up cake die is adorable. Dreaming of many ways to use it. Someday soon a Big Shot machine will be in the budget. I love the pop up cake!! How fun! Big Shot/Big Kick are the only machine for me. I have tried/owned them all but only used the Sizzix cutting. It’s the best. Oh My Goodness! Love the pop ups!! And who doesn’t want a Big Shot?! It would be amazing to add these tools to my craft tools. This would be such an amazing prize! Thanks for the chance to win! I LOVE this die! Awesome giveaway! Thanks for the chance to win! it’s Cheaper Than Therapy is my favorite booth at the expos. I spend most of my time (and money) there! I’d love to win these dies. That popup cake is adorable. Can’t wait until June! See you soon. So interesting to know you carried the first Sizzix retail. Thank you for the offer. I can’t describe what it would mean to me to get a Sizzix Big Shot and to also receive these lovely dies to make beautiful cards!!! Fingers crossed! See you at the show ! Awesome package! Thanks for the opportunity to win it. Wow, what a generous prize. Thank you for the opportunity. Love the look of these cards! Would love to try them! I love this company and I have plans to buy a big shot. Amazing giveaway. Thanks for the opportunity to win. Wow this is an amazing prize! I’ve always wanted a Sizzix machine but haven’t been able to get one yet. Really exciting! I would absolutely love this prize!! What an awesome prize! Thanks for the chance to win! Super fun card that I would love to create. Hope to win. Oh My Goodness! what a great prize! Squeeeee! I’m a die cutting fanatic and I would love to replace my old Cuttlebug. Just sayin…..LOL!